Gard 3 barrier with 24 volt operation is especially suited for managing quick passages in public parking facilities, hospitals, motor ways, and where maximum performance is required in terms of opening speed and intensive use that lets you through much more quickly. Encoder-based electronic management for obstacle detection and movement control. Display for viewing functions control of safety devices. 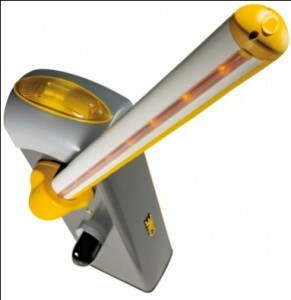 Has both photocells and flashing light in the barrier body for safe operation and duration over time. Can be connected up to a back up generator to ensure operation even during power failures.